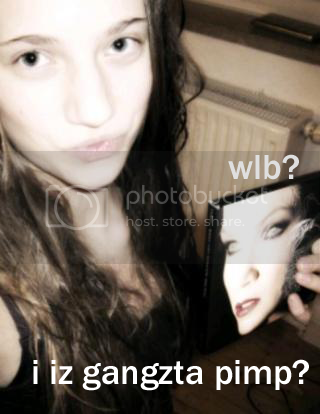 Me and my friends from TarjaBrasil.com decided to create a special section where we'll post a picture of you holding your WLB! I'd like to invite you all to join! I'll wait for you all! Me and my friends from TarjaBrasil.com decided to create a special session where we'll post a picture of you holding your WLB! Wait until you see my picture! Cool idea, I think I already participated when it was "Me and MWS". But I guess I will wait until I get all the editions I ordered, so there are more CDs and less me in the pic. @Karina Everybody wants to do the same! And I'll be waiting for your pics, okay guys?!!! I'll wait a few more time 'cause most of Brazilians fans still didn't get their cd's, so I'll start working on it! And I post here the link for you! If any of you will say something about my weird facial expression I WILL DELETE IT RIGHT AWAY!!! I swear I tried to look normal, but I couldn't get this expression out of my face since WLB arrived. My postman will nevaahr come again. He's scared to death. Oh, and my hair doesn't alwyays looks that messy, it was wet by the time WLB arrived. I couldn't pass it up. Sowwy! I took my picture with the national version yesterday! I'm still waiting for my deluxe and standart from USA! Subject: Re: [TarjaBrasil.com]Me and my WLB!